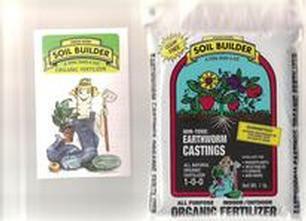 Wiggle worm soil builder earthworm castings are an excellent all natural plant food that comes to you directly from Mother Nature in their purest form. For millions of years the incredible earthworm has been one of natures greatest producers of readily available plant food. When used in greater concentrations than found in nature, this non burning,long lasting organic nitrogen fertilizer can provide remarkable benefits such as.